Buy this item and earn 482 points valued at £4.82. Directly from the era of Art Deco, this sensual cigar has all the slim line allure of a top model and the soul of a blues man. A twisted cap makes the Especial easily recognisable and adds to its intrigue and flare. It may be the picture of elegance but the Especial is as strong as an ox!Once again the trademark earthyness and wet wood aromas are full-bodied and powerful. 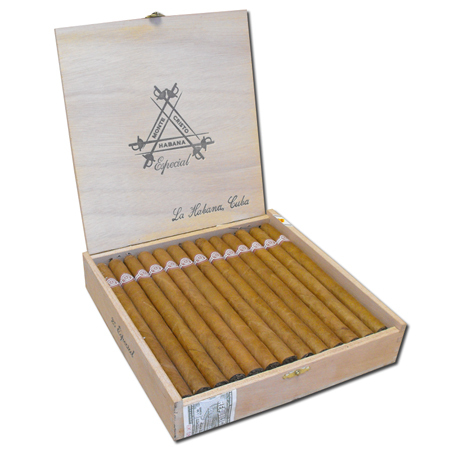 Seductive whilst being strong, the Especiales is a cigar you can take out on a night out and show it off!